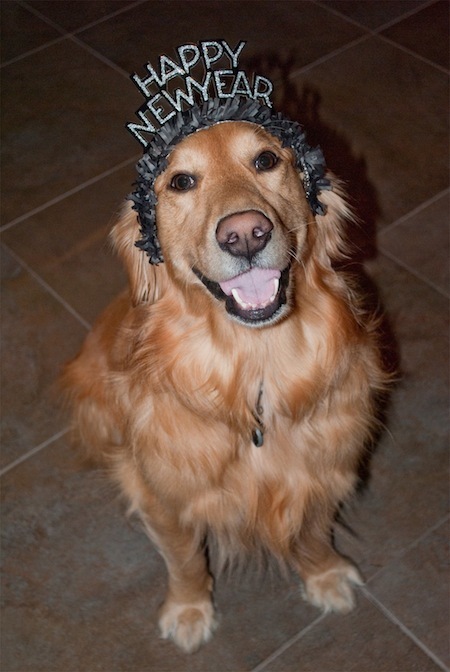 We hope everyone has a wonderful time celebrating 2012 with your goldens! Remember to keep your pups safe and inside at night – fireworks, firecrackers, etc. can spook them and cause them to flee! Also, be sure to turn on a TV or two to distract them. It’s been an incredible year for our family – as we welcomed a (two-legged) baby into our family! 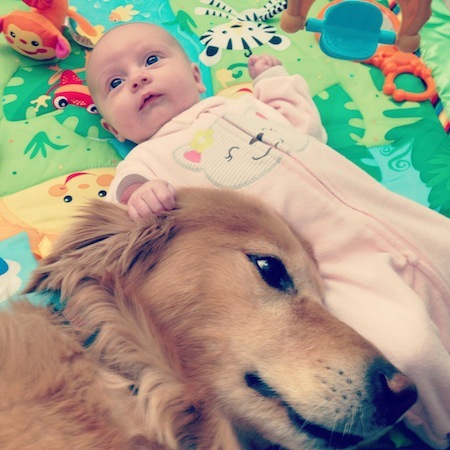 Our two goldens have been wonderful with her – Goldens are truly the perfect family dog! What was your favorite memory from 2012? What are you looking forward to in 2013?